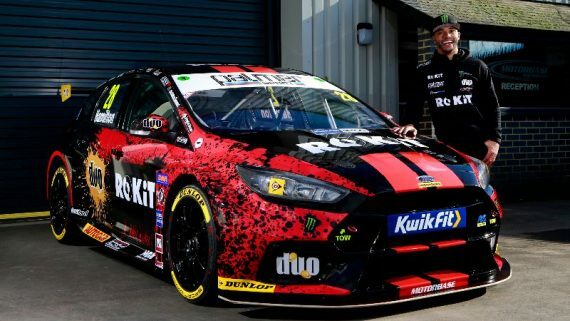 Nicolas Hamilton will re-join the Kwik Fit British Touring Car Championship in 2019, for his first full assault on the series at the wheel of a ROKiT-sponsored Motorbase Performance Ford Focus RS. Hamilton contested 12 rounds of the UK’s premier motor racing championship in 2015 at the wheel of an Audi S3, but now the brother of five-time world champion Lewis says he is chomping at the bit to get his teeth into a full 30-race programme. The 26-year-old said: “I cannot actually believe that I will be back on the BTCC grid this year. I have been in and out of different series since I started racing due to a lack of funding and general support. “A lot of people assume that due to my name, I will have all of the funding in the world, but this could not be any further from the truth. I have been on my own for the past six years, grinding away, trying to get a full season under my belt with all of the support I need. Hamilton will race a specially modified Ford Focus RS as he competes with cerebral palsy. The car will be shaken down in mid-February before the Motorbase team heads to Spain for an intensive testing schedule ahead of the 2019 campaign. “I am very proud that I finally get this chance to have a full crack at motorsport and to be doing it in the BTCC, driving for a competitive outfit such as Motorbase Performance, is unbelievable,” added Hamilton. “It gives me great pride in knowing that, when I sit in my car this year, I did it all off my own back and I can’t wait to get started. ROKiT, Hamilton’s new title sponsor, is a telecommunications company launching its glasses-free 3D-capable Android smartphones in the UK and US later this year. Motorbase Performance Team Principal David Bartrum said he was delighted to be welcoming Hamilton into the Kent-based squad. “I’m looking forward to Nic joining us in the BTCC. He brings a different type of journey for us to go on with him. He also brings with him a steely determination, a willingness to learn and a craving to succeed. “From what I’ve of Nic so far, his approach is very professional and I would defy anyone to spend five minutes in his company not to be inspired by him. 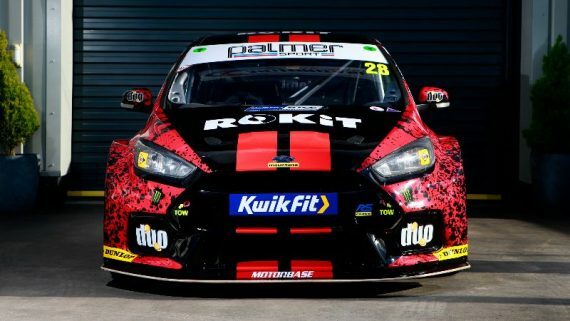 Hamilton joins Tom Chilton and Ollie Jackson in the three-car Motorbase Performance-run squad, competing under the ROKiT Racing with Motorbase banner. This entry was posted	on Tuesday, February 12th, 2019 at 9:35 pm	and is filed under Featured, Motor Racing. You can follow any responses to this entry through the RSS 2.0 feed. Both comments and pings are currently closed.